ENSENADA, Baja California, Mexico — Showcasing a preview of the 2018 SCORE World Desert Championship along with a sneak-peek at racers to watch this season, Vol. 4, No. 2 of the acclaimed SCORE Journal digital magazine is now online. Full of interactive news and feature stories, the issue is now live on the SCORE website at www.SCOREInternational.com and is available through SCORE social media channels as well as a direct link at http://read.uberflip.com/t/183537-score-journal. This issue also includes words, pictures and videos looking at the four-race 2018 SCORE World Desert Championship in Mexico’s majestic Baja California peninsula. 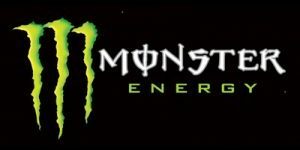 There are also feature stories on current and past SCORE racing stars and teams. The SCORE Journal digital magazine, reaching an average of nearly 2 million unique viewers per issue with an average engagement time of over 31 minutes is a major element in the continuing media expansion that SCORE has implemented. 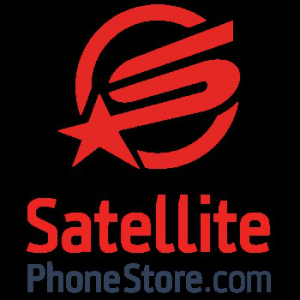 The continually revamped SCORE website also generates an average of over 2 million monthly unique viewers. Vol. 4, No. 2 of the SCORE Journal is once again filled with numerous interesting worth-reading features, stories, exciting videos and several news items. This edition includes separate pictorial and textual previews on each of the four races in the 2018 SCORE World Desert Championship. This issue also has individual features on racers like the youthful Cody Reid who will be debuting his new Alumi Craft race car in Class 10 in 2018. In the section on racers to look for in 2018, this issue spotlights Carlos ‘Apdaly’ Lopez, Rob MacCachren, Broc Dickerson, Cody Reid, Cameron Steele, Justin Matney, Ramon Bio, the Ampudia brothers-Alan, Aaron and Rodrigo, Marc Burnett, Brandon Schueler, Francisco Arredondo and Mark Winkelman. 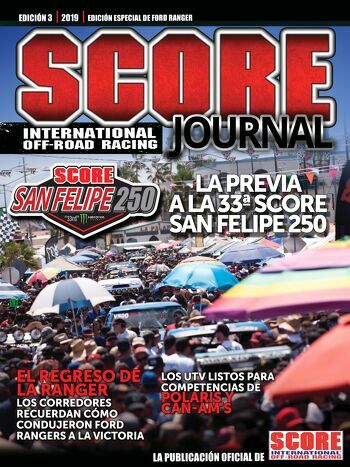 Starting with this issue, the SCORE Journal begins shining a very bright spotlight monthly on this year’s 50th anniversary BFGoodrich Tires SCORE Baja 500 to be held May 30-June 3 in Ensenada, Mexico. The SCORE Baja 500 was the first race produced by SCORE in Baja California, Mexico on July 26, 1974. The spotlight feature looking at the golden anniversary of the SCORE Baja 500 in this issue is a detailed interview piece with four-time SCORE Baja 500 race winner Robby Bell. The Off-Road Marketplace in this issues shines brightly on the latest off-road products for 2018 for racers and enthusiasts. This month’s issue specifically reviews numerous top new products that will make desert racing even safer. 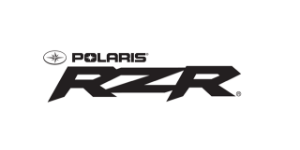 There is also an extensive feature in words and photos on the exciting new Polaris RZR RS1 single-seat UTV. 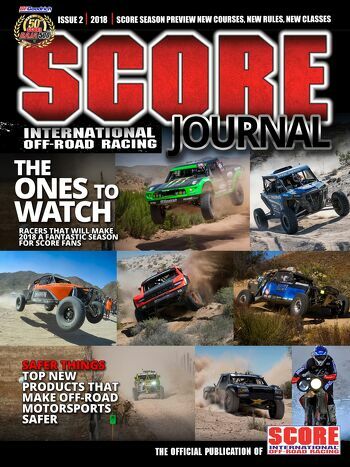 The SCORE Journal, launched in 2015, is published as 12 monthly online digital magazines, which includes four print editions that are available as the SCORE race programs at the four events that comprise the SCORE World Desert Championship along with another print edition for the annual SCORE Awards Night. The SCORE Journal features a Spanish language edition of the magazine on the SCORE website. Spanish-speaking individuals represent nearly 20% of the SCORE Journal unique reader base. The link may be viewed on the menu of the SCORE Journal Magazine tab on the SCORE Website. The Spanish language version of the SCORE Journal will be posted within the week of the English version. Under the supervision and direction of SCORE CEO/President Roger Norman, SCORE Race Director Jose A. Grijalva and SCORE Tech Director Dan Cornwell with editing and updating by SCORE Ops personnel Lawton Shank and Christine Wait, the 2018 SCORE Rule Book is currently in final review along with the 2018 Rule Book Addendum. All relevant items, including the three new classes being offered, will be available in the near future on the SCORE website under the race info page. 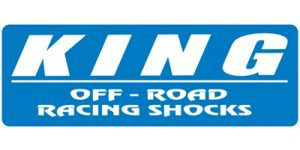 Official SCORE Sponsors: BFGoodrich Tires-Official Tire and official race title sponsor, Monster Energy-Official Energy Drink, King Shocks-Official Shock Absorber, RACELINE Wheels-Official Wheel, Wide Open Excursions-Official Arrive and Drive Company, Crystal Bay Casino-Official Casino.